Grant Morrison did not take over New X-Men in a vacuum – the entire line of X-Men team titles rebooted all at once along with him in Uncanny X-Men and the new X-Treme X-Men. Neither run is quite up to the gold standard quality of Morrison’s, but it’s time to see them both in omnibus format. Collects New X-Men (2001) #114-154 & Annual 1. Marvel seems to be keeping this edition evergreen – it has been reprinted in 2012, in 2015, and in 2016. For more information on the New X-Men run and how to collect it, see Guide to New X-Men. Uncanny X-Men started off written by Joe Carey with a sci-fi, deconstructed, indie comic vibe that wasn’t entirely different than Morrison’s, which unfairly overshadowed this delightful run. For current collection options for this era, see Uncanny X-Men #351-443. As you can see, the Casey run itself is short. There are also three other abandoned sets of material from this period that could easily fill out this volume. Click to expand more content! 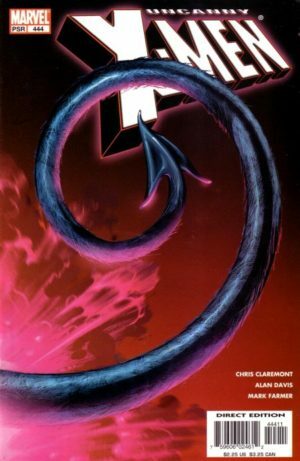 Of five “Marvel Icons” solo X-Men limited series, two were from characters starring in this run – Nightcrawler and Chamber. Nightcrawler occurs in the midst of this run, and Chamber (by Brian K. Vaughan!) occurs just after its end. Should they appear here? I think there’s a strong argument for Vaughan’s chamber, but I believe on the whole these really ought to be relegated to a solo and/or mini-series collection as described below. Then there’s the X-Men Unlimited material. As an anthology title with a frequently loose relationship to continuity Unlimited is like the red-headed step-child of the collected edition mapping game. There’s a chunk of stories in this Unlimited run that are contemporaneous to Uncanny and could fit here. However, filling out a whole omnibus with them feels like cheating. Then there are the mini-series. Along with the very grounded, spandex-free Morrison/Casey relaunch on the main pair of X-Men books, Marvel zipped through a series of mutant-adjacent mini-series that looked at smaller, more on-the-ground stories in the world of mutants. While none of these limited series especially intersect with Casey’s material (and, could in fact fill out their own book), something about them really speaks to me as a complement to his run. They would be my vote to complete this book. After Joe Casey departed the title, Chuck Austen took over and essentially wrote it as the school’s local “away team” that was really a front for Manga-influenced soap opera theatrics, also covered on the Uncanny X-Men #351-443 page. Uncanny X-Men #410-443 & New X-Men #155-156. Fans would tell you this is the least-wanted X-Men reprint of all time. They might be right – Austen’s run wasn’t great at the time, and didn’t age well either. However, it’s been 13 years since these were last printed, and there’s a whole new set of fans that would buy them to experience the pain. Facetiousness aside, I feel there are a few interesting plot points in here that aren’t worth abandoning – especially Northstar’s joining the X-Men and Juggernaut’s best hero turn. 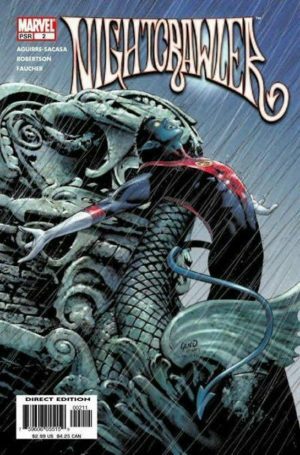 Plus, this is where the awful, terrible, badly-conceived story of Nightcrawler’s parentage is finally told. Sorry, that was more facetiousness. Meanwhile, Chris Claremont wrote an international version of an “away team” where spandex wasn’t just allowed, but encouraged, and he got to use just about all of his favorite characters in the process. It’s covered in the X-Treme X-Men Guide. That book seemed overlarge a few years ago, but now it seems like it could easily work – not only because we’ve seen bigger omnibuses, but also because the Kitty Pryde Mekanix series was just reprinted in the “Marvel by Claremont” omnibus and could be selectively left out here. It has no direct bearing on the X-Treme X-Men plot other than reintroducing Kitty after several years out of the franchise and was collected as X-Treme X-Men Vol. 4. When Grant Morrison made a hasty exit from New X-Men to defect back to DC, Marvel lined up one of the few writers who could be described as even hotter than Morrison to take over – Buffy The Vampire Slayer creator Joss Whedon! Joss kept the core of Morrison’s team in the form of Cyclops, Emma, Beast, and Wolverine, but added Kitty Pryde as a point of view character. His Astonishing X-Men is collected in a single omnibus that makes for wonderful reading (as well as in several other formats; see Astonishing X-Men for more). Meanwhile, Chris Claremont made his (third? fourth?) return to Uncanny X-Men, not only bringing with him highlights from his X-Treme team, but adding Rachel Summers in lieu of the stolen Kitty Pryde. This is a fantastic, highly-readable run with Chris Claremont writing and Alan Davis and Chris Bachalo trading off art duties, covered on Uncanny X-Men #444-544. That’s massively sellable, and these trades aren’t getting any easier to find! This really ought to be near the top of Marvel’s list of potential X-Men omnibuses to release every year which will immediately be snapped up by dedicated fans. It’s puzzling that we haven’t seen it yet. The included Annual is about Storm’s impending marriage to Black Panther, which could use some context from the Black Panther arc leading up to his proposal and their wedding. While we’re slamming some Claremontian X-Men into an omnibus, the Excalibur (2004) series would never get its own omnibus, is sort of important in building up to House of M, stars Xavier and Magneto together in a book for one of the first times ever, and was also penned by Claremont. It would fit in perfectly with this material, which has an entire House of M arc with Captain Britain. 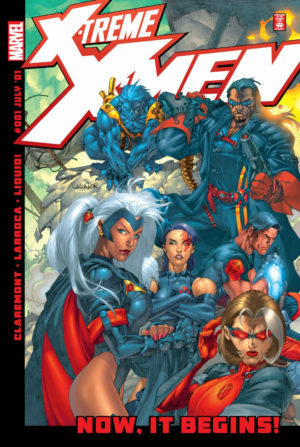 Uncanny X-Men was next taken over by Ed Brubaker, and he used it to continue the story from his X-Men: Genesis mini-series, which in turn rolled into the War of Kings cosmic epic. Collects the majority of the War of Kings storyline – Uncanny X-Men #475-486, X-Men: Emperor Vulcan #1-5, Secret Invasion: War Of Kings, X-Men: Kingbreaker #1-4, War Of Kings: Darkhawk #1-2, War Of Kings: Warriors #1-2, War Of Kings #1-6, War Of Kings: Ascension #1-4, War Of Kings: Savage World Of Sakaar, Nova #23-28, Guardians Of The Galaxy #13-19, War Of Kings: Who Will Rule?, and Marvel Spotlight: War Of Kings. While Uncanny X-Men #487-491 also fall before the end of Astonishing X-Men and the beginning of Messiah Complex, I’ll be covering them in tomorrow’s installment – they fit better in collection with the next period. Meanwhile, Chuck Austen hopped from Uncanny X-Men to X-Men (1991) with much less hate. 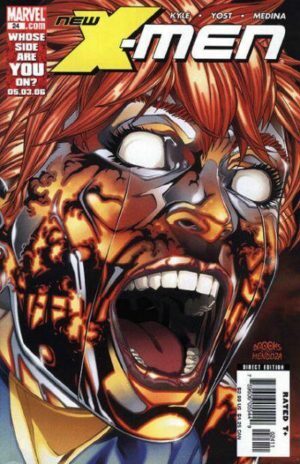 He’s followed by a oddly sombre run by Peter Milligan, who never really hits his stride until the final blow-out with Apocalypse covered in Guide to New X-Men. This is another unlikely collection, but it happens to heavily feature Rogue, contains the messy aftermath of House of M, and collect an incredibly hard-to-find Apocalypse story. That makes it a bit more sellable than the prior Austen run. I fully acknowledge that this book will likely never exist in real life and I wish there was a way to just cram it together with one of the prior runs to make it more buyable. We could kick out Son of M #1-6, which make more sense with X-Factor below, but that’s still 20 more issues. I don’t know what to tell you. If you actually want this book, make sure to vote for it every year! There’s nothing to add here! X-Force crossed over to the New X-Men period with the introduction of the X-Statix team in #116. X-Statix is already contained in a single, one-and-done omnibus. Collects X-Force #116-129; Brotherhood #9; X-Statix #1-26; Wolverine/Doop #1-2; X-Statix Presents Dead Girl #1-5; and material from X-Men Unlimited (1993) #41, I ♥ Marvel: My Mutant Heart, and the Doop story from Nation X #4. Cable crossed over to the New X-Men period at #93, but his title changed dramatically with #97. I covered that potential omnibus in our last installment. After Soldier X, Cable moves on to star in Cable & Deadpool (2006), which is already contained a single, one-and-done omnibus. However, there is the little matter of a pair of Rob Liefeld helmed limited series – X-Force, Vol. 2 #1-6 and X-Force: Shatterstar #1-4. Since these exist in a vacuum without any other related work, they’ll need to be shoved into an OHC rather than appear in an omnibus edition. As I mentioned above, I think the only chance of us ever getting Excalibur (2004) is if it’s ganged into an X-Men by Claremont omnibus of his Uncanny X-Men run in this period. CollectsUncanny X-Men #444-474 & Annual 1/2006, Secrets of the House of M (and material from Black Panther #14-18), plus Excalibur (2004) #1-14, because this is our only chance! Later, Claremont would reboot Excalibur as a team starring Dazzler and Juggernaut, because nothing screams “England’s Top Mutants” more than Dazzler and Juggernaut. See Excalibur Guide for the current collection information. This double-dips the Die by the Sword series from Exiles, but it really is a part of the run of both books. You could make an argument for placing the 2007 Pete Wisdom series into this collection to fill it out, but it’s written by Paul Cornell and would fit better alongside his Captain Britain & MI:13 in the next era. Exiles is an oddball sideline X-book full of a cast of alternate-hopping versions of your favorite X-Men, like a mutant take on Sliders or the final seasons of Fringe. Yes, I’m old. Learn more in the Guide to Exiles. Collects Exiles (2001) #1-37 and X-Men Unlimited #41. This Frank Tieri series collected an intriguing group of Wolverine’s villainous supporting cast into one title, and it’s perfectly omnibus-sized! Then, Greg Rucka takes over Wolverine as the book moves to the Marvel Knights imprint, taking on a more adult tone. 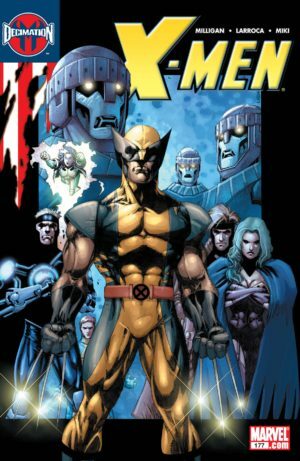 Collects two Mark Millar Wolverine stories from Wolverine’s 2003 series – Enemy of the State in #20-32 and the future dystopia Old Man Logan in #66-72 & Wolverine: Giant-Size Old Man Logan). 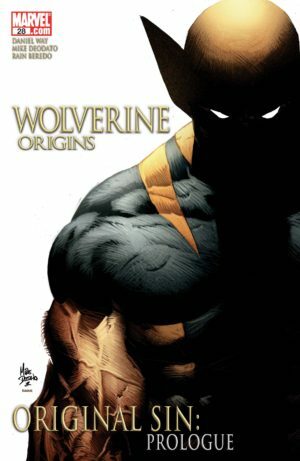 Wolverine #33-40 make more sense in a Wolverine: Origins omnibus, below, as they directly tee-up that series. 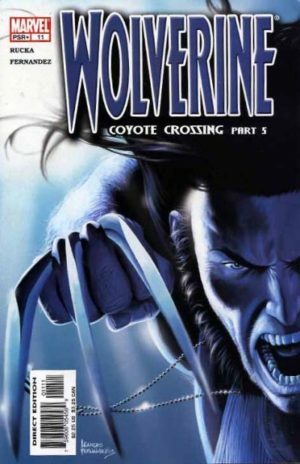 Collects the entire 16-issue 2009 Weapon X series, along with the preceding Jason Aaron stories from Wolverine Vol. 3 #56 and #62-65; Wolverine: Manifest Destiny #1-4; Dark Reign: The List – Wolverine; and material from Wolverine Vol. 3 #73-74, Dark X-Men: The Beginning #3, Wolverine Vol. 2 #175. Wolverine returned from House of M with many of the memories of his past restored. This was disorienting at first, but quickly launched him on a quest to reclaim much of his history from the hands of his former foes. As much as I’d love to see it in one volume, it’s just too much material – it needs a pair of books. Wolverine (2003) #33-40, Wolverine: Origins #1-2o, Annual 1, and #1 Director’s Cut; Sabretooth (2004) #1-4; and material from I (Heart) Marvel: My Mutant Heart. 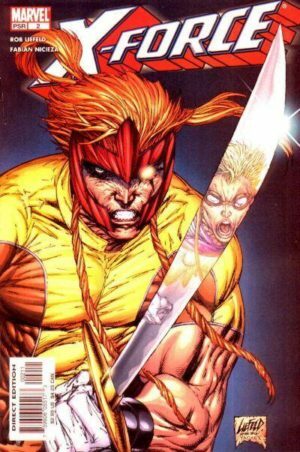 Yes, you could leave the introductory Wolverine arc in another omnibus and skip the unrelated Sabretooth issues, but that would still leave you with an untenably large 59-issue omnibus thanks to the pair of crossovers. For reading order and current collections of all these Wolverine issues, visit my crushingly comprehensive Guide to Wolverine. This one is pretty easy, since it’s exactly contained by the outer bound of Messiah Complex, as detailed by the X-Factor Guide. Madrox #1-6, Son of M #1-6, X-Factor (2006) #1-23, and X-Factor Special: Layla Miller One-Shot. Son of M appears in the Prelude to War of Kings omnibus, but it’s also still pertinent to the initial run of X-Factor and Quicksilver was an X-Factor character in David’s prior run. After the “Riot at Xavier’s” arc in Grant Morrison’s New X-Men, Marvel launched a second New Mutants volume that saw members of the original team recruiting and training new students for the academy. Then, when Morrison ceded the “New X-Men” title and his cast to Whedon, this scholastic book took over the title and ran parallel to Astonishing X-Men, expanding the life of the students we see in throngs in that book’s hallways. This run has the dubious distinction of being the newest X-Men ongoing issues to have never been reprinted in a collected edition – New Mutants #7-13 remain uncollected to this day! All the more reason to get them into an omnibus, ASAP. Given the fact that we’re approaching a New Mutants film, I think Marvel should mercilessly market these books under the “New Mutants” banner despite them increasingly having little to do with the New Mutants cast after the 2003 volume ends. With the end of House of M, the “No More Mutants” decimation hit the cast of this book hard, as did the mutant-hating Purifiers. Writers Craig Kyle and Christopher Yost turned up the drama and the violence on this previously cute book and gave us one of the best pathos-filled X-Men runs of all time. World War Hulk: X-Men is effectively #42.5 of this run. The run wraps up in Messiah Complex, dispersing the students to the winds, but some of the cast continued in Young X-Men #1-12. It isn’t a particularly note-worthy book and it introduces the problem of this book skipping past Messiah Complex, but it does belong here. So does the bombshell X-Infernus, which makes great use of the X-kids and also brings back Magik! While I also think this ought to be collected along with the subsequent New Mutants run, there’s nothing wrong with having it here, too. No single X-Men held down a long-running solo title throughout this era, but several had solid 1-2 year runs that could make for a handful of compelling books. Icons was a special, high-profile line of limited series that was mostly centered on X-Men characters, though a pair of Avengers snuck in. Many of these have never before been reprinted. Calling this “Astonishing X-Men: is a bit of a lie, since none of these characters came remotely close to being in the cast of Whedon’s Astonishing X-Men, but that was the title heading many of these series were released under in trade and I’m sticking to it! Jubilee sticks out as the one light-hearted book here, and could easily be omitted. I’m really puzzled that Marvel didn’t get this omnibus out while they had Jennifer Lawrence starring in Fox’s X-Men films. I suppose sales on the previous Complete Collections may have been soft enough not to warrant it. Mystique left her series and immediately appeared in X-Men (1991) in the brief “Bizarre Love Triangle” arc still in a capacity as a semi-trusted ally. Emma Frost #1-18, X-Men Origins: Emma Frost, Generation X #-1, Uncanny X-Men #129-130 & back-ups from Classic X-Men #34-35, and material from X-Men: Hellfire Club #4, X-Men: Deadly Genesis #5, and other early Emma flashbacks. I could (and, eventually, will) research the hell out of what those “other early Emma flashbacks” would include, but suffice to say it would be pretty cool to get a beginnings-style book that told the cohesive history of Emma Frost not only via her prequel series but also her various flashbacks through the years leading up to her debut in the panels of Uncanny X-Men. Sadly, that means I never found a home for X-Men Unlimited #1-14 and X-Men Spider-Man #1-4. Sorry, orphans!